Dear traders, Fibonacci tools are always been interesting to the traders who understand the effectiveness of the tools in defining the direction of the trends. I consider this tool to know the direction of the trend, and I am really very satisfied. Through this post, I am going to share my technical analysis technique with Fibonacci Fan. Fibonacci Fan has three straight line making angles with each other. In a Fibonacci Fan we have three straight lines 38, 50 and 61. 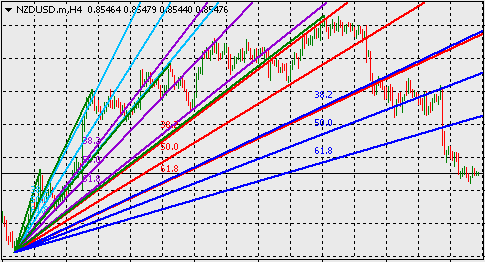 Every lines represent the support and resistance level. 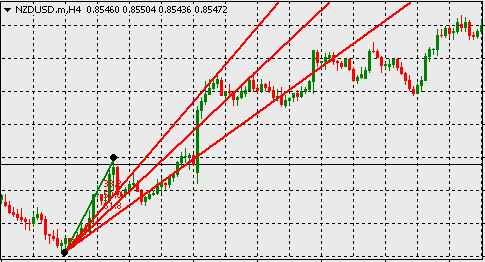 In the image below, I have illustrated the Fibonacci Fan on an up trend. Here to draw the Fibonacci Fan on an up trend, I have chose the lowest point on the price chart and the first high. The principle is that the trend will remain within the lines and will be forwarded. Here we can see, when an uptrend is forwarded, it gets resistance and go down. When it go down, it gets supports and then again go up. 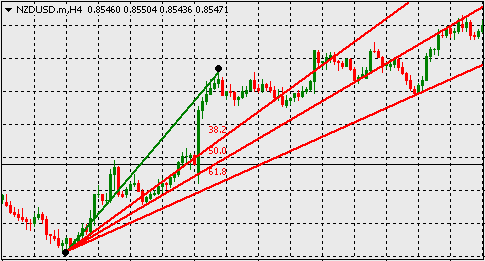 This way the trend remain within the Fibonacci Fan. The Fibonacci Fan is valid as long as the price remains within the Fan. If the price go beyond the fan, a new fan will be needed. To draw a new fan we will need another high, generally higher high than previous high. In the above image the high is changed when the price has reached beyond the fan. The second Fan shows that the trend is still going up. This way we will change the highs to find the trend.Changing the highs, after a Fibonacci Fan is broken out , we can draw multiple Fibonacci Fan on an uptrend. While trying to enter into the market and exit from it using Fibonacci Fan, we should consider Fibonacci Lines as resistance and support levels. When the price reaches support levels, we should go long ,and when reaches resistance, we should go short. We should also consider the breakout of the support and resistance levels.